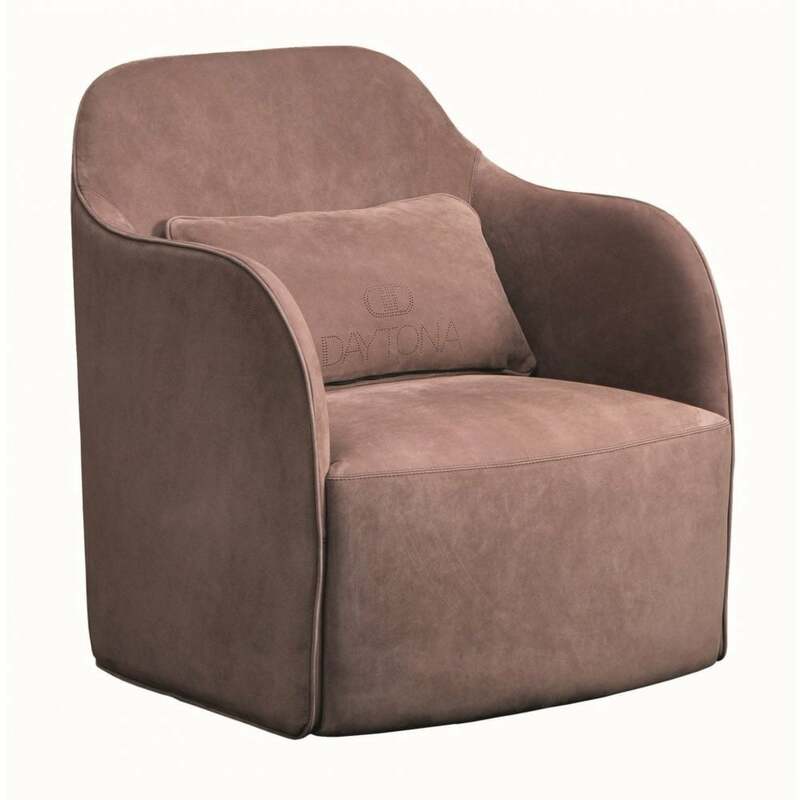 A stylish armchair inspired by the glamorous designs of the art deco period. Part of the covetable furniture collection by Daytona, the Valentina Armchair can be realised in a range of high-quality fabrics and leathers. Hand-crafted from strong plywood, the seat and backrest are covered with multi-density rubber and then filled with a layer of soft goose down for guaranteed comfort. Finished with a matching cushion, this luxury armchair is shown here in a beautiful dusty pink hue. Valentina is ideal for a sophisticated bedroom suite, pair with delicate marbles, burnished brass and dark walnut to create an elegant scheme. 100% Made in Italy. Make an enquiry for more information.